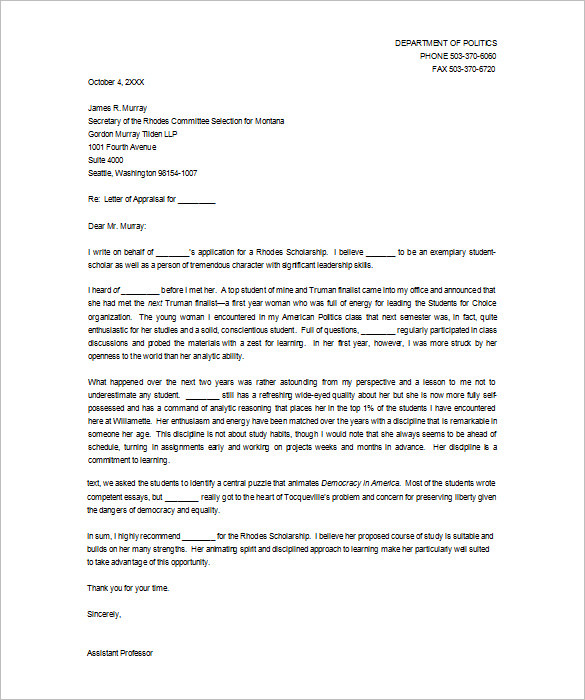 A recommendation letter or letter of recommendation, also known as a letter of reference, reference letter or simply reference, is a document in which the writer assesses the qualities, characteristics, and capabilities of the person being recommended in terms of that individual’s ability to perform a particular task. If we put through in simple words, then a recommendation letter is an official document which is written by influencing personalities to recommended someone for a particular job or task on the basis of characteristics, qualities, and skills of the person being recommended. There are multiple types of recommendation letters such as employment letter, scholarship letter, characteristic letter, personal letter, and much more. The format of a letter vary as per the situation, check out the templates shared below to find the appropriate letter sample as per your situation. 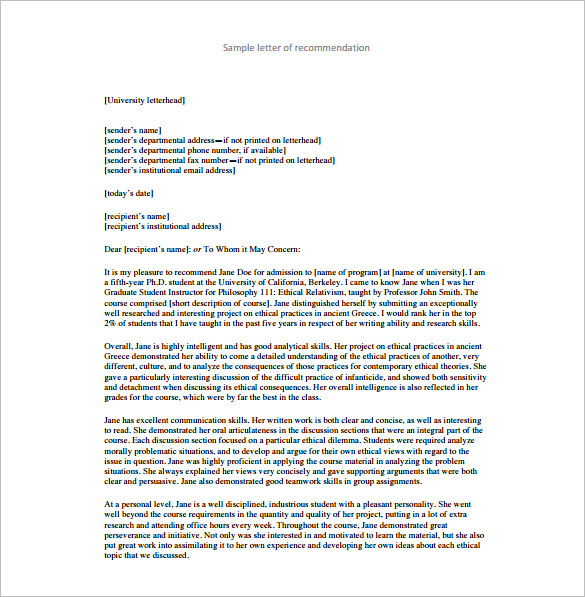 Here you can find a wide collection of a letter of recommendation templates. To save your time and energy in creating a letter from scratch, download these samples, formats in pdf & word and then customize them as per your need or situation. 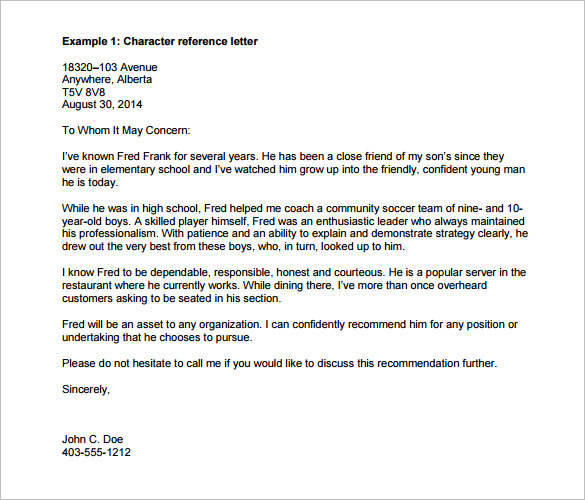 A letter template shared below can help you set an ideal recommendation letter for a student. 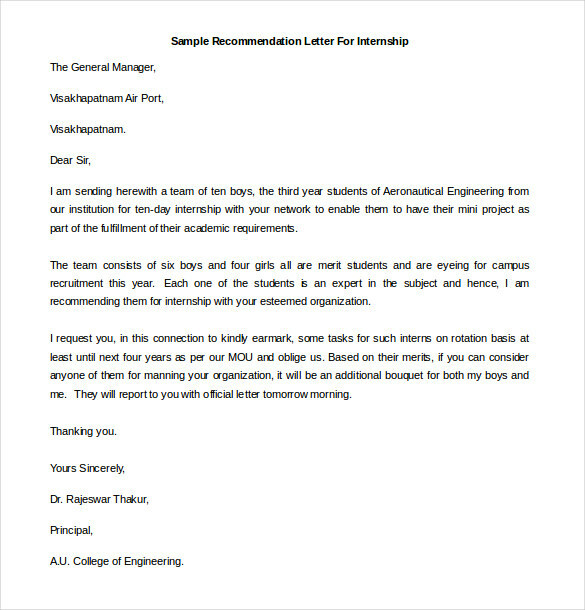 This letters highlight the potential skills of a student and also include a section wherein the contact details of the reference can be provided for further correspondence. In this competitive world, where things are changing every second and the competition is getting tougher each day, it’s kind of difficult to grab a right opportunity. So, do not hesitate or shy away from getting a recommendation letter from someone who is in high authority. Get a sample from this page, fill the details, and then get it signed. 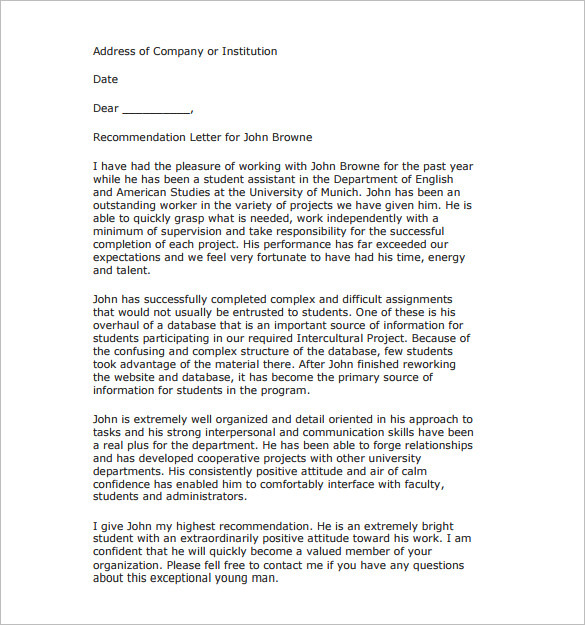 Are you tired of searching for a perfect format or sample that you need to make your recommendation letter? Don’t worry, here you can find an easy solution, we’ve shared a collection few most popularly used recommendation letter templates which can assist you in making a solid recommendation letter. Looking for a job? It is found out that candidates with recommendation letters are more likely to get a job or get an initial favor. In the professional world, a recommendation letter has a great weight when it comes from a power source or person who has an influencing personality. 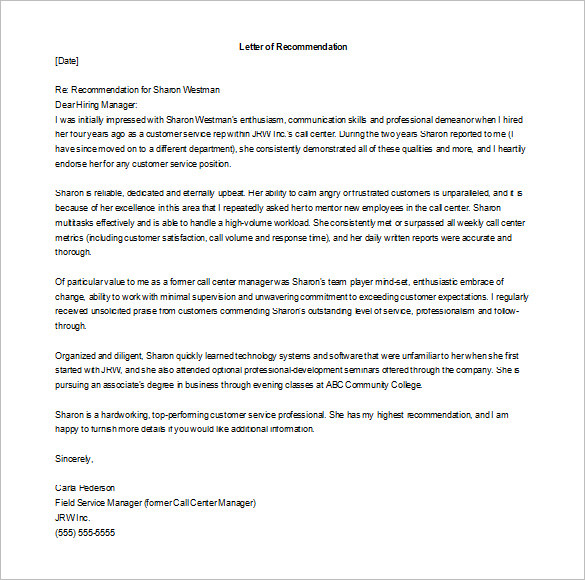 Make you job recommendation letter count with the correct format shared below. 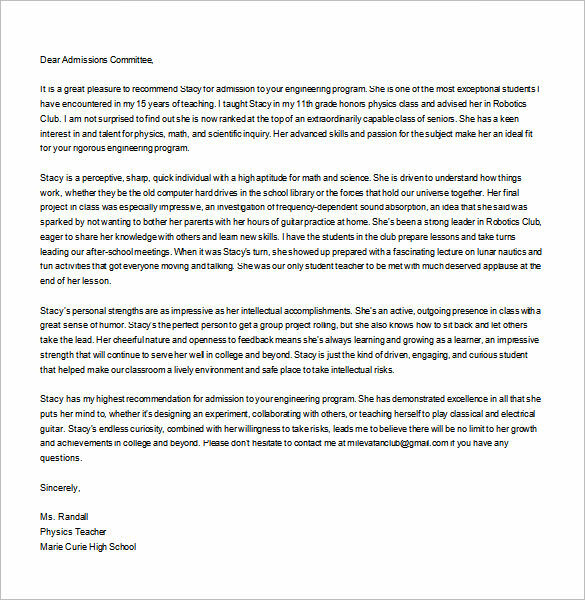 So these are more than 25 recommendation letter templates, use these templates to create your own recommendation letter. Their letters are available in both .pdf and .doc format, pick any format as per your need. A word or .doc format allows you to edit or customize a letter. If you find these templates useful then hit the sharing buttons below to share with people on social media platforms such as Facebook, Twitter, Reddit, Quora, Whatsapp and much more. Use the comment section to submit your suggestions and queries. Keep on visiting Template Section for more useful templates in different categories and formats.